Okay, I confess that I am AirPod Double Tap challenged. Somedays it works and then other days it doesn’t, with no rhyme or reason. But with a lot of frustration! It just doesn’t consistently work for me. So I’m stuck with a sore ear from all that tapping AND a song that I cannot play or pause using just the AirPod. 0.4 Try your ear lobe instead! 0.7 iOS 11+ AirPod Additional Double Tap Options for Left AND Right! AirPods Through the Washing Machine Cycle, What can you do? 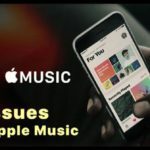 How Can I Make My Apple AirPods Louder? 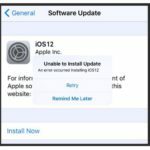 AirPods Disconnecting Calls or Other Sound Problems? 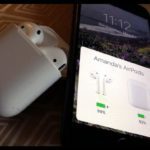 AirPods Not Auto-Pairing or Pairing with BT Devices? Before you do anything else, unlock your iDevice and then try your AirPod Double Tap. 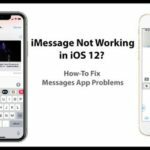 When the screen is off double tapping doesn’t do a darn thing! If your screen is asleep (black) then your iDevice is in what Apple calls a locked state. Press the Home or Power button or swipe up to awake it and unlock it. Then try double tapping your AirPod! 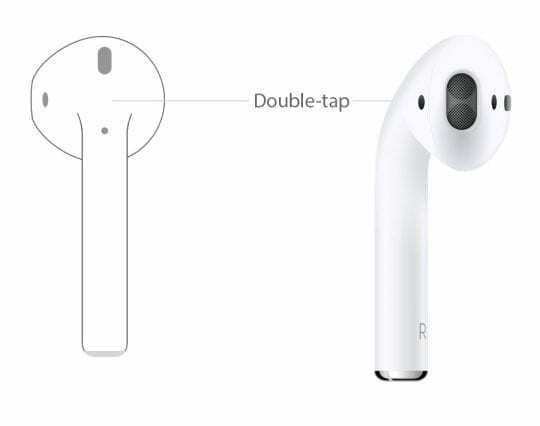 But there is a method to the AirPod Double Tapmadness. And it’s all about location (location, location!) Perfecting your Double Tap means you’re tapping in the correct location. That special spot is just above the stem but below the top slit speaker. Not on the stem or above that speaker. It takes some patience and a little time but the payoff is consistent AirPod Double Tap return. Try your ear lobe instead! 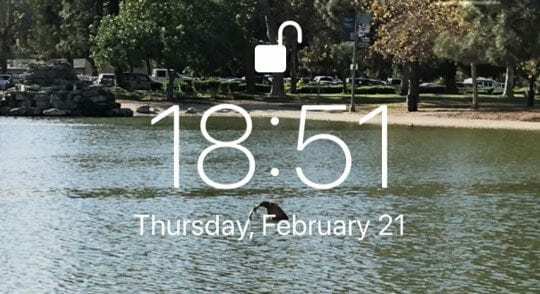 One of our readers suggests tapping on the back of your ear instead of on the AirPod itself. For us, it works like a charm! 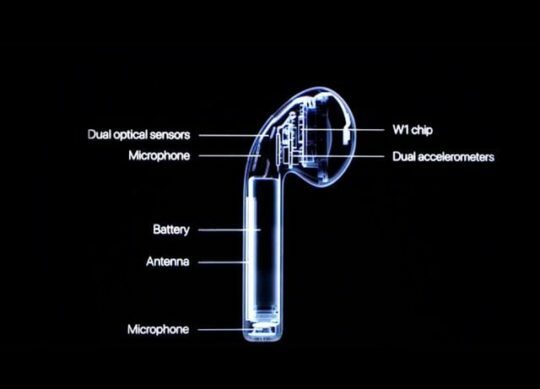 Your AirPods feature some amazing tech in such a small package. It’s very important to know what the double tap does. 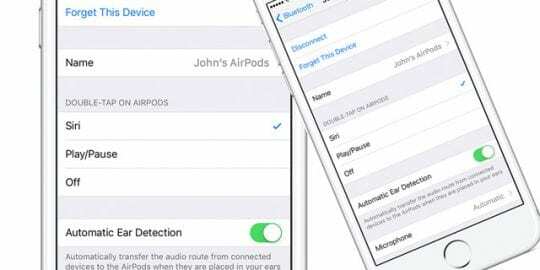 To set your AirPods’ double tap functionality, open your AirPods case or place one in your ear and go to Settings > Bluetooth > Your AirPods and tap the “i” next to your AirPods name. Locate the section DOUBLE-TAP ON AIRPODS and choose the options you want. For folks using iOS 10, choose from Siri, Play/Pause, or Off. 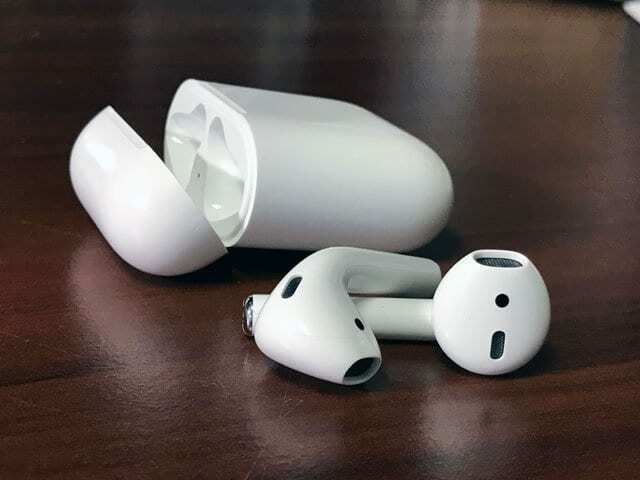 This sets the default for both the left and right AirPods. 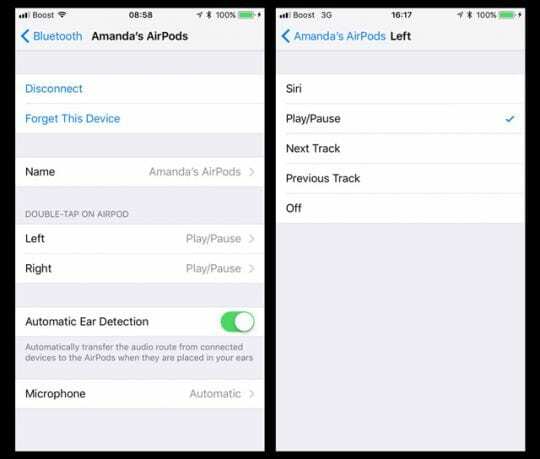 iOS 11+ AirPod Additional Double Tap Options for Left AND Right! 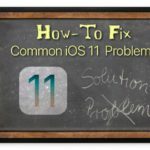 For folks using iOS 11 and higher, you have some additional options for Next Track and Previous Track as well as Siri, Play/Pause, and Off. And you can set the left AirPod with a different function than the right AirPod. For example, you set your Right AirPod’s Double Tap to Play/Pause while your left AirPod’s Double Tap advances to the Next Track or invokes Siri. This additional functionality is a nice added touch to iOS! You heard it here. 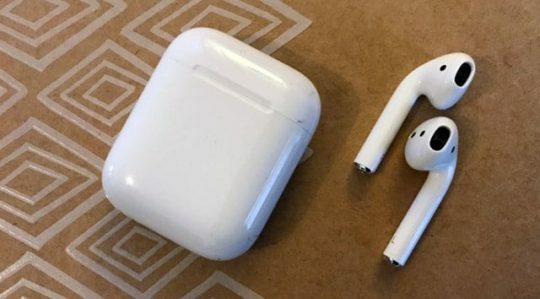 Just because your AirPods are small doesn’t mean they are brittle or fragile. Don’t treat them with kid-gloves; use a firm tap, not a light pat. Double tap with a bit of force like when you are tapping numbers into a calculator or playing piano keys. Go ahead and tap your AirPods that firmly. In my attempts to get this right, I learned that I needed to tap a lot harder to get steady results. So tap harder than you think necessary, and you’ll probably get better, more consistent results. Wouldn’t it be great if Apple added a sensitivity selector, similar to the 3D Touch Sensitivity Selector, with options for light, medium, and firm tapping? That way none of us would need “schooled” on how to do the AirPod Double Tap. 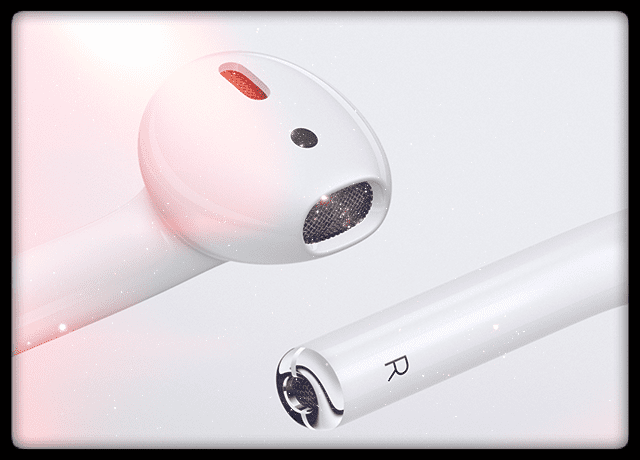 Reader Sean suggests tapping on the back of your ear just above the lobe, instead of on the AirPod itself. 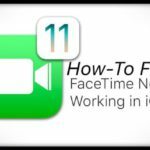 He’s had great success using this method so why not give it a try and see if it works for you! James has a different solution. Just triple tap your Airpods instead of double tapping. For James, this works every time! I will double tap and my music will play for a split second and stop. I have to double tap again to get it to play continuously. kinda like the first set of taps wakes it up, then the second set of taps plays. Does this happen when you double tap on either AirPod or just the right or left? You might want to change the play/pause double tap to the other AirPod (so if it’s currently on the right ear, change it to the left) and see if the issue resolves or remains. Try temporarily changing the double tap setting to something else (like next track) and see if it works as expected. If so, change the setting back to play/pause and try it out again. Also, try the reader trick of tapping twice on the back on your ear–this seems to work the best! The tapping of your ear actually works really well. Not sure if there was an update or anything, but you can use double tap while your phone is locked. Hi! This comment may not be seen, but I have another solution! If your AirPods on one ear won’t do the double tap, go into settings>Bluetooth> then tap the i in a circle and press forget device. I did this once and it worked. To reconnect it put the AirPods back in the case and open the lid and it should say connect. Great tip – tapping on back of ear above lobe really works much more consistently and does not make my ear sore! Thank you! The back of the ear trick was a good suggestion, works far better than on the AirPods themselves. FYI, tapping on the back of your ear just above the lobe gives a pretty reliable response. That way you don’t have to tap directly on the AirPod. Seems to work better for me this way. Thanks for sharing that tip! We’ll add it in. How the heck did you even find out about this?! 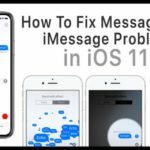 Husband was getting frustrated with double tap and came across this article and only when I reached the part about your tip did it work for him. Ha! I’ve worked it out! Thanks so much for this! yayyy!! We cant wait to see the next series of Airpods. Hopefully they make it easier for doubletap and other gestures. Thanks this helped! I’ve been “tapping” – turns out all i needed to do was tap a lot harder!! Thank you -this helped a lot! Thanks. I was struggling too! Thank you! I couldn’t figure out how to get the double tap to work! I have the exact same problem ; while this helped me understand this better ; am still unable to make the double tap work ; no matter how firmly or where I tap its determined to not work ! Never worked for me BUT, just realized, it seems that the phone has to be unlocked. It works now. 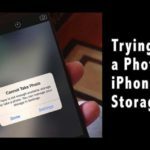 but having your phone unlocked constantly will put a big strain on the battery…. right?